The battle for the best thermostat isn’t over yet. In fact, with around 50 years of experience in the industry, First Alert just keeps getting better. It now has its own Wi-Fi Thermostat belonging to its newest Onelink series. It looks so interesting, you may want to take a look at it twice. 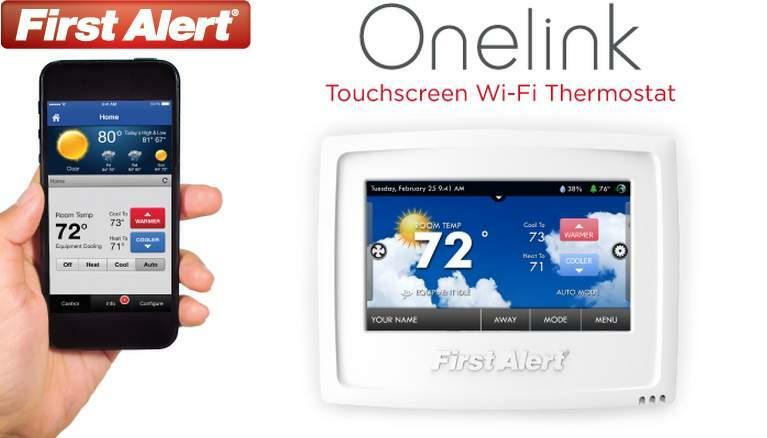 Onelink Wi-Fi Thermostat comes as a touchscreen pad with several built in themes. However, if you can’t pick one from the list, you can upload your own pictures and use Onelink Thermostat as a digital picture frame. You can save up to 100 photos to your Onelink Wi-Fi Thermostat by connecting your SD card. You can use your pictures as a screensaver or as your thermostat’s background. Onelink also allows you to edit and preview your pictures so you know how they’ll look like before setting the thermostat up on your wall. With Wi-Fi connectivity, Onelink lets you control your home’s temperature whether you’re away for work or you’re too busy with your other household chores. Onelink has a mobile app which you can use to manage the thermostat. The app lets you know what type of weather you have for a specific day. It can also alert you if there has been changes in your home’s temperature or if you need to change your air filters. You can set schedules or adjust your thermostat’s mode through the app. Similar with the app, you can also access and control your thermostat through your computer. Onelink has SkyPort Cloud. Through the SkyPort, you’ll be able to know how much energy your devices consume through a seven day report. You can also preset your thermostat’s schedule so you wouldn’t have to worry about the tedious routine of setting it daily. However, if you don’t have a definite schedule, you can simply set the thermostat to adjust automatically for up to four hourly changes per day. If you have kids at home who like to play with random devices, it may calm your worries to know that Onelink Wi-Fi Thermostat can be locked. Other than securing the actual device, you can also set a limit on how cold or warm you want your home to be. By such way, your kids or anyone at home won’t be able to adjust the thermostat beyond your limit. On the other hand, if you decide to get a new Onelink Wi-Fi Thermostat for your home, there’s actually no need to worry about having to go through the setup again. You simply need to save your old unit’s setting into an SD card and run the SD card to Onelink’s special software. The assistance software prepares your SD card to sync the setting to your new unit. It’s as easy as that. Onelink Thermostat retails currently at $150.51. Apparently, the Wi-Fi Thermostat doesn’t come alone. 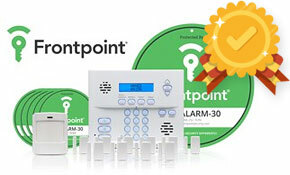 First Alert released OneLink as a series of smart devices. These devices can work interconnectedly. It’s already a two in one device. 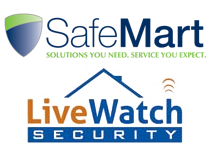 You wouldn’t need to buy separate detectors to keep your home safe. 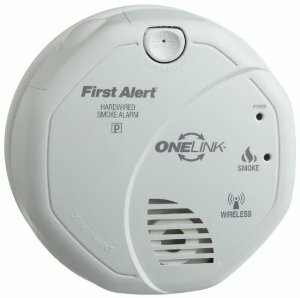 The Onelink Wi-Fi Smoke and Carbon Monoxide Alarm has a ten year battery life. It’s relatively enough to support its entire lifetime. NOTE: You should change your thermostats at least every ten years. It works using photoelectric sensors to decrease the chances of you having panic attacks over a false alarm. It doesn’t simply beep when there’s fire at home. It literally tells you where it detects something unusual through its voice and location technology. It can really say “Warning. There’s smoke in the living room!”. Once the .Onelink Wi-Fi Smoke and Carbon Monoxide Alarm sounds the alarm, you’ll instantly receive an alert through the mobile app. You will also receive a single key press option to call 911. The Onelink Wi-Fi Smoke and Carbon Monoxide costs $119.99. First Alert also has a Tracker to make sure people and belongings don’t get lost. It works by bluetooth technology and the free app. You simply need to put the tag on whichever you need to keep a tab on. If you have been forgetting where you put your keys or your purse, you can use the Tracker to make sure you can always find them. If someone takes your bag and walks away with it, you’ll be able to know, too. You can also use the Tracker to watch over your doors. The app will tell you if one of them has been opened or closed. First Alert has a Wi-Fi Safe. If you have been forgetting codes and keys lately, you may want to use a safe that can automatically respond to your smartphone.You can even customize it, if you want. The Wi-Fi Safe has an accelerometer. Meaning, if someone moves the safe, you’ll be able to know. You can also give access to your family members. Along with access grant, you’ll also know how frequent they open the safe. 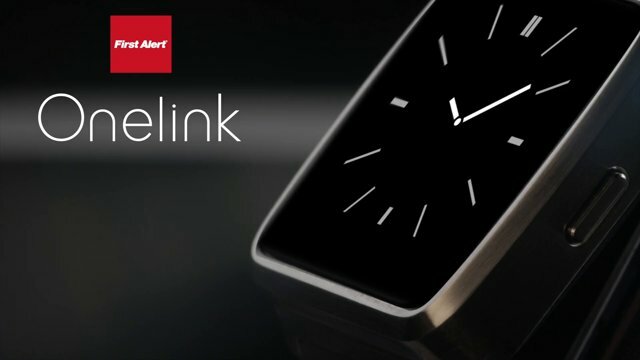 Another member of the system is the Onelink Watch. It’s actually very helpful if you’re the active type. The Onelink Watch is a personal wellness device that can work for your safety, as well. 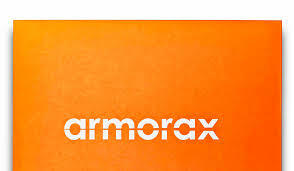 It can monitor your sleep and even your activity. In case of emergencies, you can simply access the watch to send alerts to your family. The alerts will also include your location so they’ll know where to find you. Interestingly, it has gorilla glass and an oLED display. You simply need to touch and swipe to control the watch. It’s waterproof and has several different bands. If you want to wake it up, just raise your hand. The Onelink watch is retailed currently at $199.99. The Onelink series also has a Wi-Fi Environment Monitor. 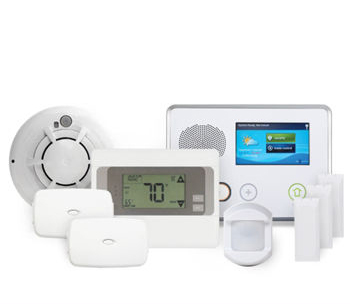 It can monitor your home’s carbon monoxide, temperature and humidity. It has an LED ring that shows a certain color every time there’s a change in your home’s environment. If you really come to think about it, First Alert has been around the business of smoke alarms for quite a long time. It decided to venture into making intelligent thermostats since Nest stepped on its toes and made its very own smoke detectors. On such note, it might be safe to say that the battle continues.